With its classic Batman feel, swanky lounge music playing throughout, and true to the original DC Comics’ artwork, Batman vs Mr Freeze Fortune is a game that will certainly win support from fans of the franchise. However, those who are less interested in the caped crusader and just love a great slot machine will also be pleased with this title. It has some fantastic game features, an innovative method of playing, and a great return-to-player rating. Then there’s the upper betting limit. It’s probably the largest we’ve ever seen. High rollers, come on down! Innovative game features make this title an interesting one for both novice players, as well as those who have grown tired of more traditional online slot machines. Huge upper betting limits. This one is ideal for the highest rollers around. Very fair pay out percentage. It’s rare to see games with such high upper betting limits have a good return-to-player rating and Batman vs Mr Freeze is a welcome break from the norm. Progressive jackpots. The opportunity to win a life changing sum of money is always welcome. Very low main game prizes. Don’t expect to be betting £1 and pulling four figure prizes – not without the help of the progressive jackpots. Batman = 300x the coin value. Mr Freeze = 250x the coin value. Robin = 200x the coin value. Batcopter or Batmobile = 100x the coin value. Multiplier Wild = “wild” symbols multiply wins by up to 5x. Win Multiplier = multiplies all wins by up to 10x. Mr Freeze = turns all occurrences of a symbol into Mr Freeze for bigger wins. Wild Mr Freeze Spins = re-spin until players win with all “wild” symbols frozen on the reels. 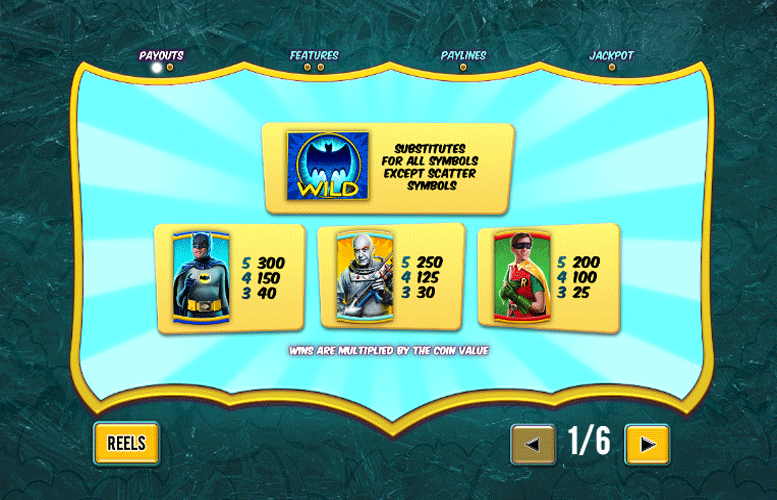 Landing three of more “bonus” symbols anywhere on the reels will trigger the Batman Vs Mr Freeze Free Games. 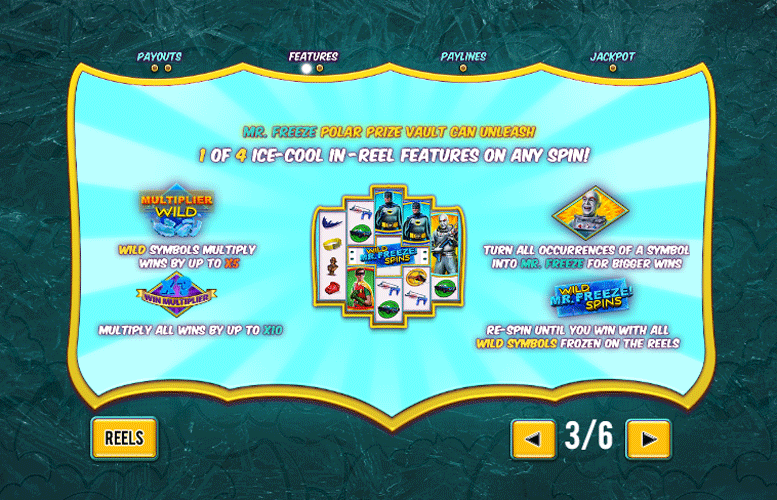 Here, players must face off against Mr Freeze for “wild” multipliers and a massive 2,400 way to win. During this mode, the Polar Prize Vault is replaced by extra symbols for even more ways to win. What’s more, all “wild” wins are multiplied by up to 5x. The number of “scatter” symbols landed will dictate the number of free spins won by the player. Three, four, and five will win 10, 12, and 15 free games respectively. One of the first things that will strike players when they start playing the Batman Vs Mr Freeze slot machine is the quirky game board. Rather than stick with strict win lines, the game is played using a 1,024 ways to win system. This means that three or more symbols anywhere on consecutive reels will trigger a win. The game is played as if there were 50 win lines in terms of pricing, however. There are four progressive jackpots that can be won on any spin. Any sized wager can trigger this jackpot game. However, the higher the bet, the more likely a player is to trigger the mode. Once in the bonus game, players are guaranteed to win one of the jackpots on offer. During the progressive jackpot mode, there are 20 jackpot icons on the jackpot game screen. Players must click the icons to reveal one of four coloured jackpot symbols. Each corresponds to a different one of the four jackpots. 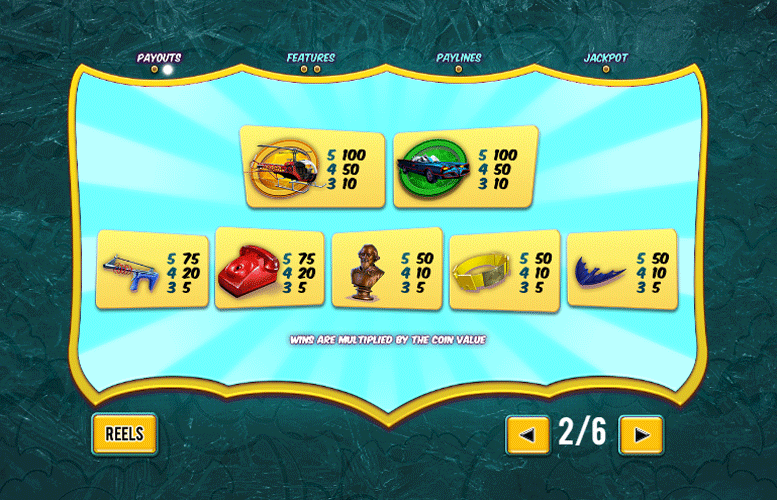 Players must collect all the jackpot symbols of a given colour to win that prize. The first one to entirely fill is the one they take down. Grapple gun, or telephone = 75x the coin value. Bust, Batarang, or Batbelt = 50x the coin value. 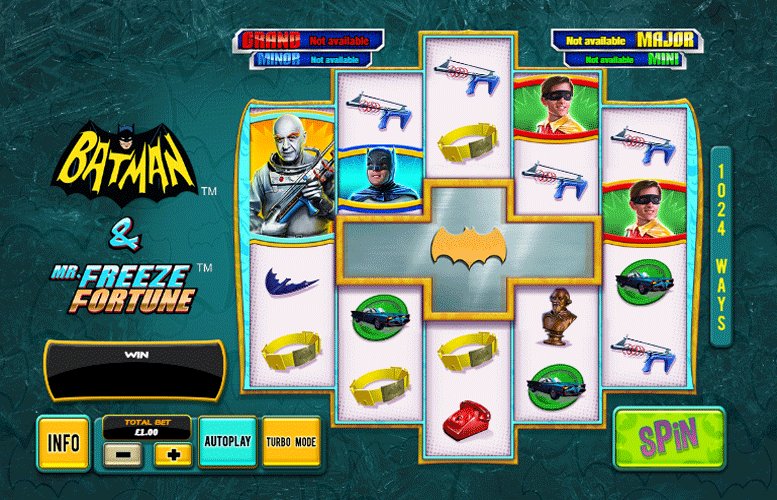 The Batman and Mr Freeze Fortune slot machine, is played across a non-standard game board. As such, players are forced to play it as if there were 50 lines. The only option they have is to raise or lower the total bet. The minimum is £1 and the maximum is a staggering £5,000. Such a large maximum bet limit makes Batman and Mr Freeze Fortune ideal for the highest rollers around. 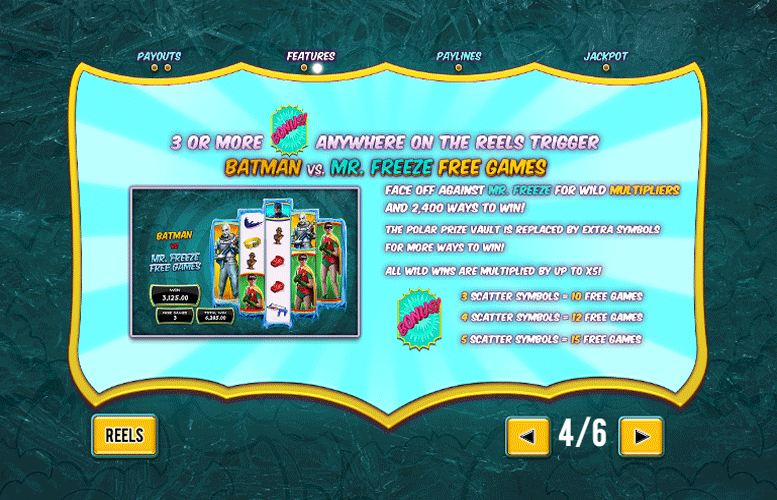 All told, the Batman and Mr Freeze Fortune slot machine is a great game that utilises some innovative features to give players a slot experience that is anything but the norm. 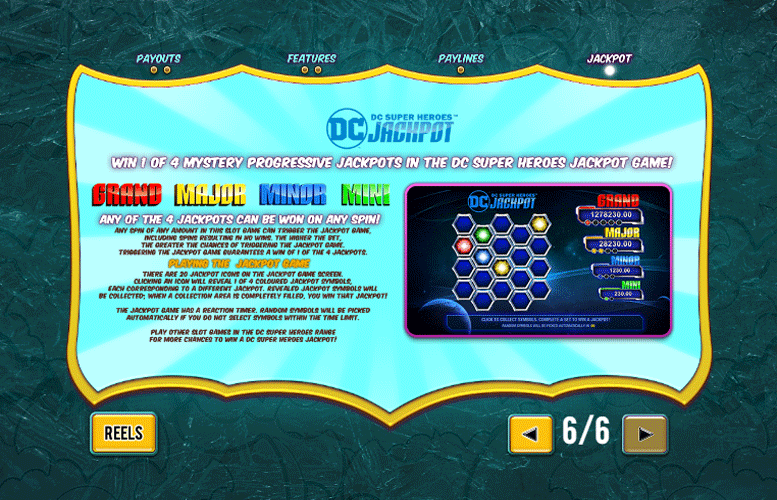 It has an enormous upper betting limit, some great bonus games, and all the charm of that classic ’60s Batman. The only real caveat for this one is its low main game prizes. However, this hardly matters if you have a good run on the bonus features. This game has a rating of 5 / 5 with 719 total reviews by the users.